But prefer to train in a more private setting? 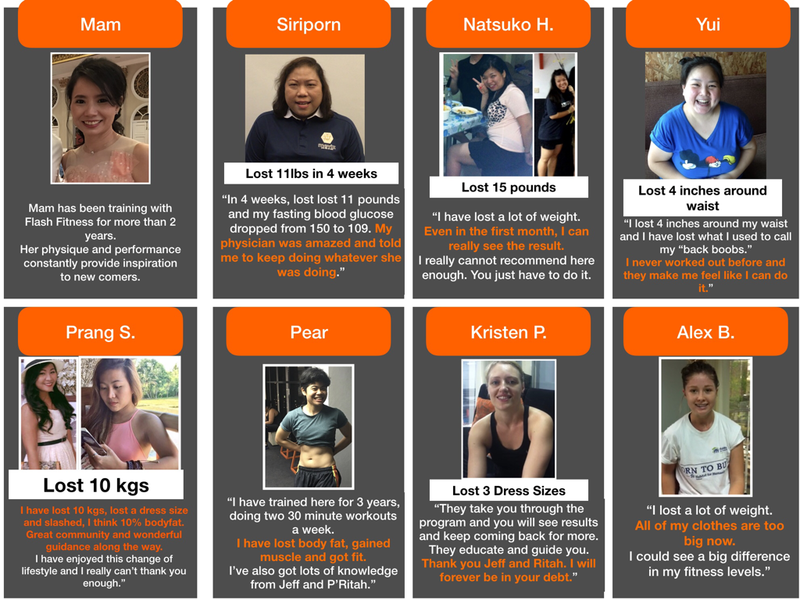 ”I have personally handpicked and trained your trainer to implement your exercise/ nutrition/lifestyle program (all written by me), upholding the high standards we attain with Flash Fitness. ​So... Why would we open PREMIUM Personal Training just 5 minutes away from our own Flash Fitness gym? For years now, we had to keep turning people down for private training due to Ritah and I being too busy with Flash and our long-time clients to be able to take on any new private clients. We only have so many hours in the day. People kept asking if we could recommend another trainer in town who “does what we do”, and, the sad truth was nobody gets the results we do. I am not saying this to bad mouth the industry or other trainers. 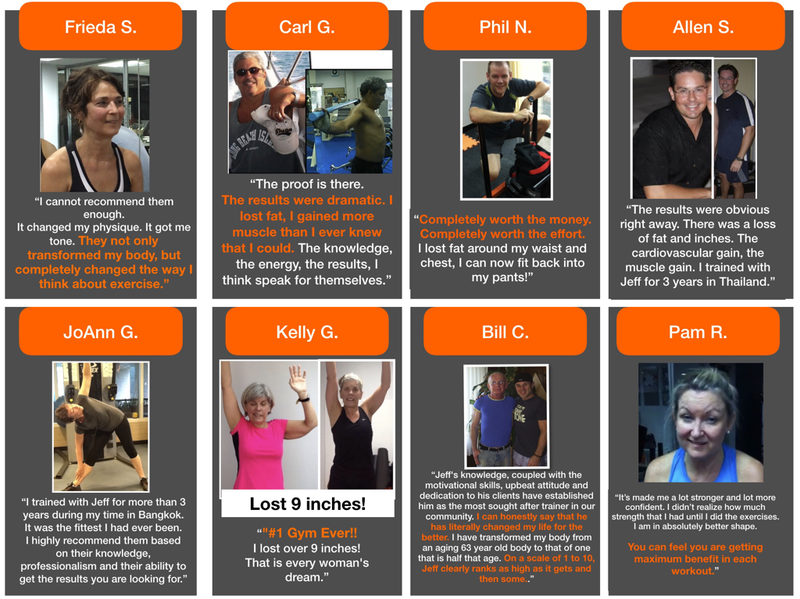 The honest truth is: we DO get better results than any other trainer around town. Prove us wrong and I’ll gladly take my words back. We hear daily from people who used to train somewhere else, with no results to show. 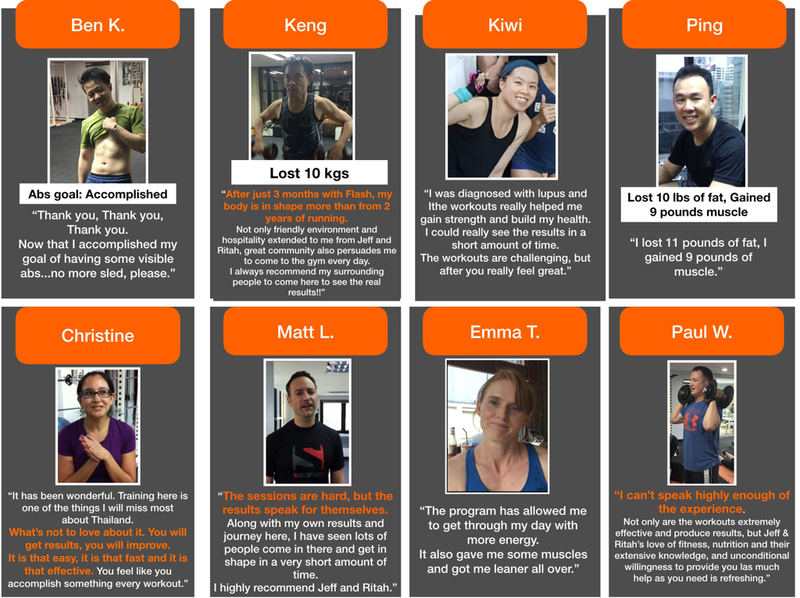 If we recommended to you to a trainer and you didn’t get the results you expected after seeing what our Flash members achieve, it hurts OUR integrity for recommending that trainer. 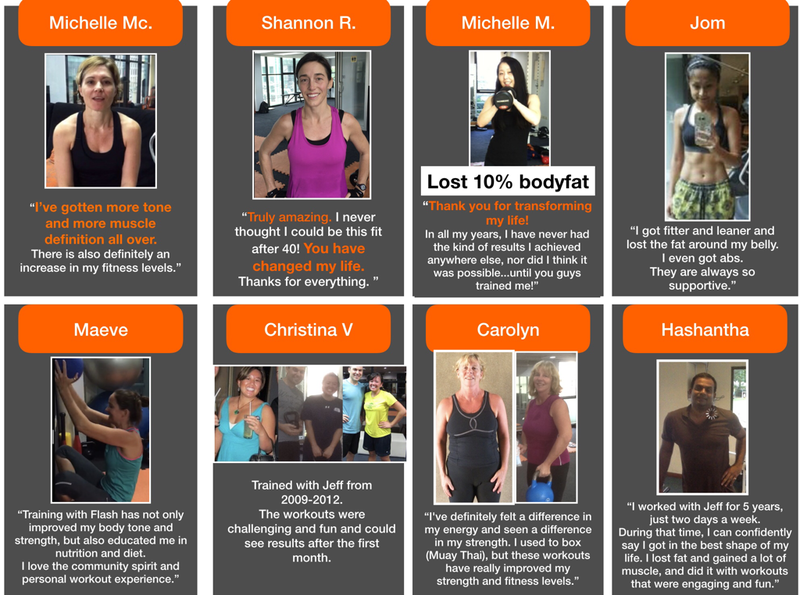 It is our integrity and our reputation that has always been the HEART & SOUL of the Flash Fitness success. 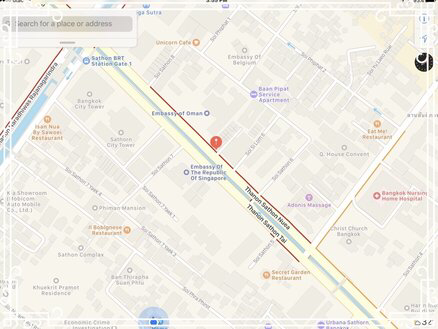 Therefore, we have CREATED a place that will give you the results we get at Flash, but in a more private setting with your own private trainer, who is trained BY US, doing programs written BY US. 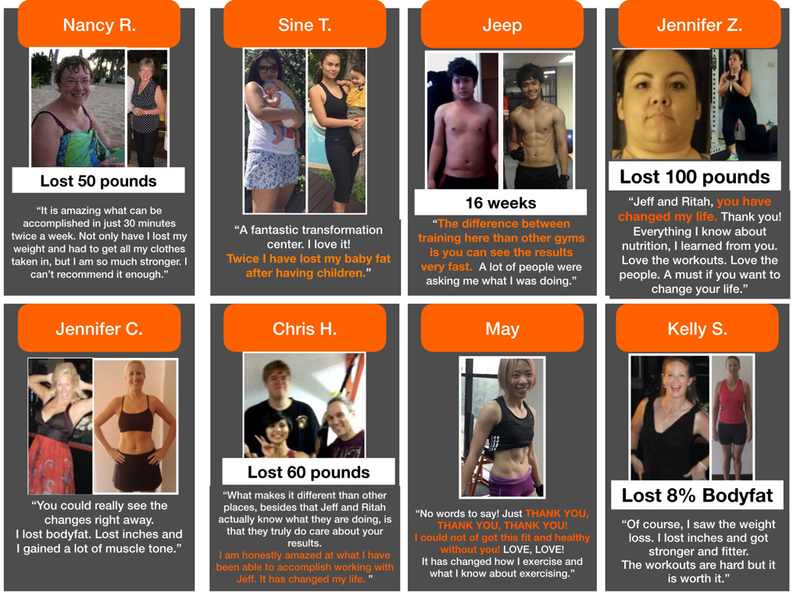 ​We understand the FlashFitness group training is not for everyone. Some people DO want or need that 1-on-1 experience. 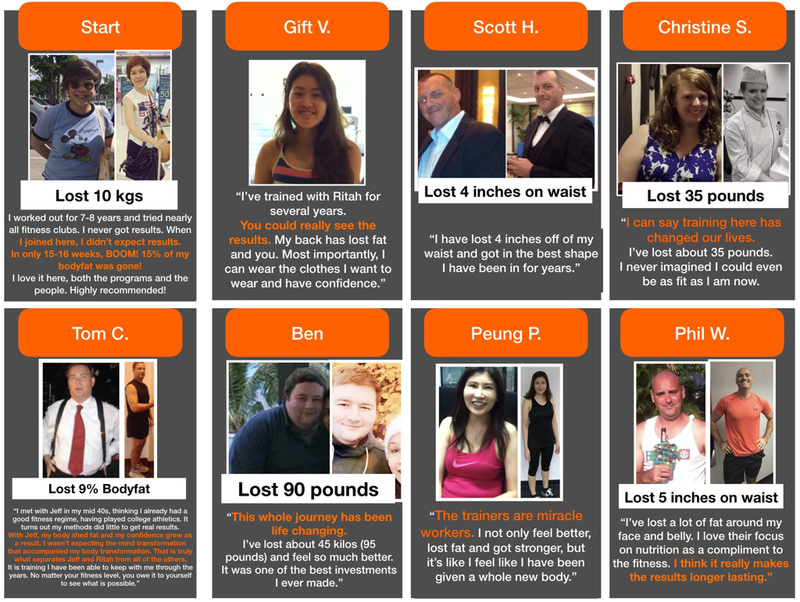 Your programs are run by trainers we’ve trained to run programs that are WRITTEN BY US. No more guessing or simply trusting whether or not your trainer actually has the knowledge to get you results. (NewsFlash: fitness certifications are terrible at teaching trainers how to get results) You will be doing Flash Fitness style programs, implemented the Flash Fitness way...but modified to suit YOU as an individual. Trainers are hired based on their integrity, personality and character. We have done the trainer shopping for you to make sure you are spending your time with not just a quality trainer, but a quality person who exhibits all the qualities they need to help you succeed. Your trainer will NEVER look at their phone when training you. That is a personal PROMISE! ​Your trainer will ALWAYS be right at your side from start to finish during your workout, with their attention on YOU, getting the most out of you. That is a personal PROMISE. No more random exercise programming with trainers who decide your next exercise based on what machine happens to be open. Sigh! No more getting put onto a treadmill or elliptical to do mind-numbing “cardio” for 45 minutes while your trainer looks around the room or scrolls through his/her Instagram. ​Your trainer will not look at their phone during your session. 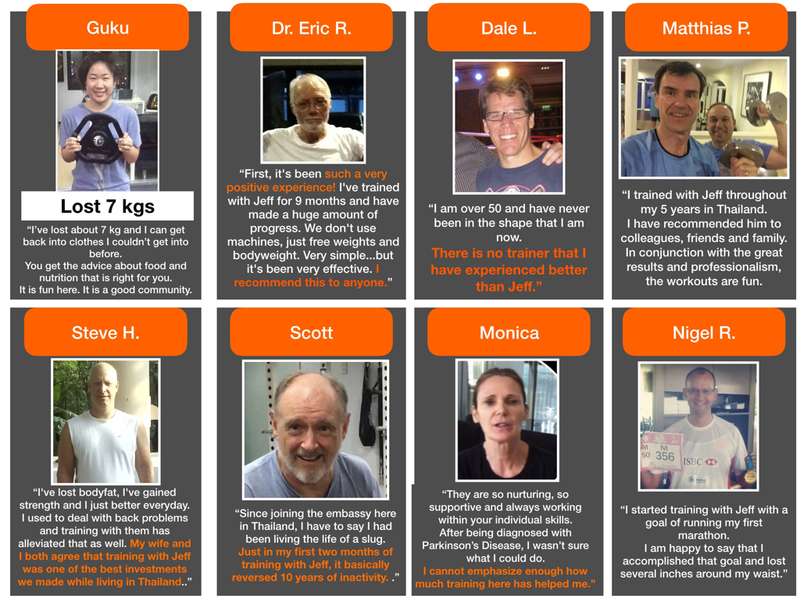 ​We believe 100% of our attention should be on YOU and getting YOU RESULTS. 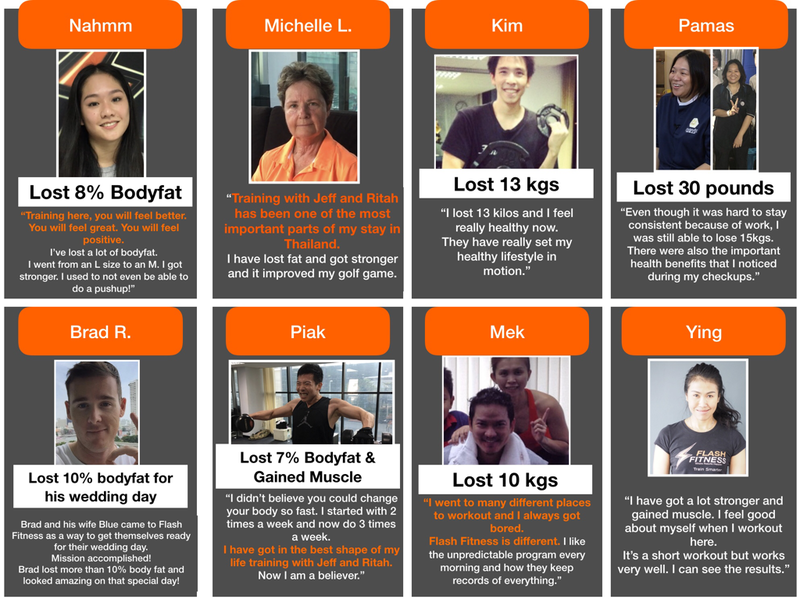 Q: Why should I let Premium by Flash Fitness handle my fitness & health plans? I've had personal trainers before and they never helped me reach my goals. 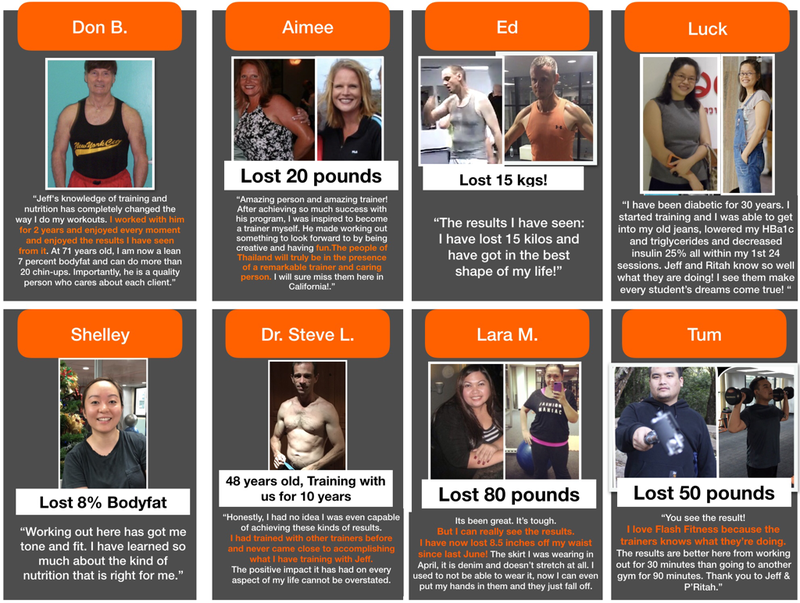 A: We understand that every personal trainer calls themselves “results-oriented” or an “expert.” But, unlike other personal trainers, we have PROOF of our ability to help you achieve your goals. 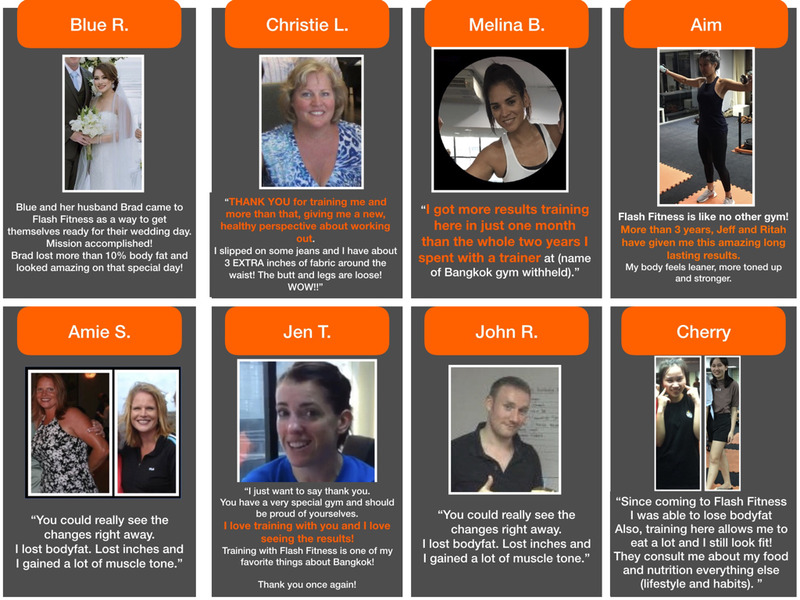 So, we’ll let 100 of our REAL clients tell you about THEIR results & experiences! 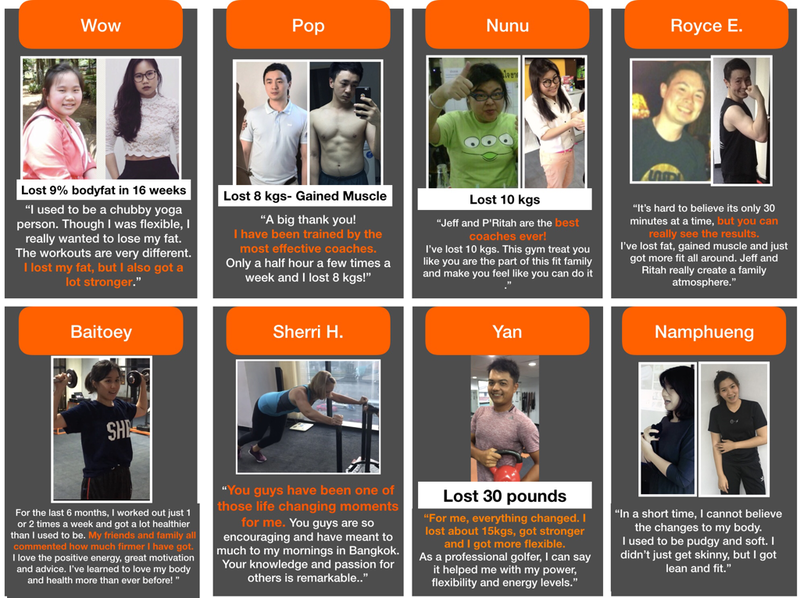 ​We know most trainers advertise their personal training by showing 100 photos of themselves (usually shirtless or from a camera angle that shows off their booty for your “motivation!”). Call us old-school, but we got into this business to help others and wanted to show you that we will be good at helping YOU. 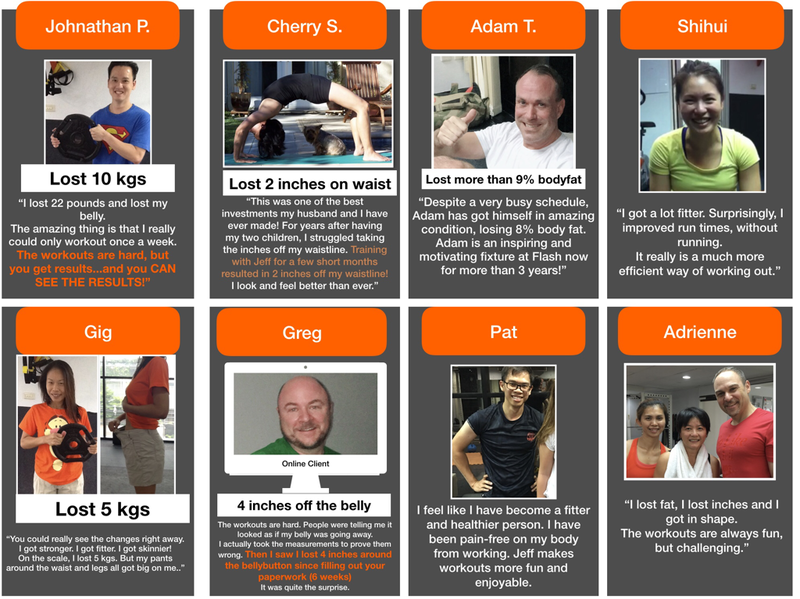 Are you ready to experience what high level personal training can do for you? 1. We are NOT the cheapest option. If you just want something cheap, move along. Or, maybe consider doing the effective group classes over at Flash, which is less expensive. 2. If you are looking for the best return on your investment, (actual results you can see and feel) we are your best option. Time Slots are 1st come, 1st Served.